Taking your CBT Test in Walthamstow is the first step to getting on two wheels and beating the London and Walthamstow traffic. Anybody aged 16 or above with a valid UK passport can take a CBT, which stands for Compulsory Basic Training. Once you’ve completed your CBT, you will be allowed to ride either a 50cc (if you’re 16-years-old), or a 125cc (17 and above) machine on the roads, with L-plates displayed. There is no test involved when you take your CBT in Walthamstow - it’s just a day of training where you will learn the basics of riding motorcycles and scooters on the roads. You don’t need any prior riding experience, although it will help if you brush up on your highway code beforehand. You don’t need to worry about owning a bike or any protective equipment, either. The school will provide you with a bike and most protective equipment - just wear some sturdy trousers and tough boots that cover your ankles. Once you complete your CBT, it will last for two years. 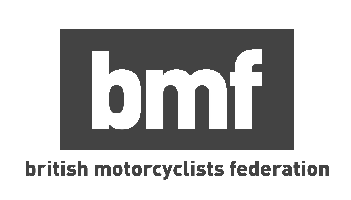 If you wish to continue riding after those two years, you will either have to retake your CBT, or, if you fancy moving onto something with a little more power, get your full motorcycle licence. If you’re unsure what you would like to ride once you’ve completed your CBT, check out our list of the best bikes you can ride on a CBT. Where Can I Take my CBT Test in Walthamstow? We have plenty of training schools in and around Walthamstow where you can take your CBT test. Our first test centre Get My CBT Walthamstow, is a long-established school based in the heart of Walthamstow, at Goals Soccer Centre. They provide a range of automatic and manual machines for you to train on, and the local roads are much quieter than central London. A little further out, Stadium Rider Training are located in the IKEA Tottenham car park, and they have a large and safe off-road training area, and there are plenty of local amenities nearby. 1 Stop Instruction are also based in Tottenham, near Northumberland Park station. 1 Stop provide a range of scooters and motorcycles, and the staff are all incredibly friendly and like to make your training fun. A2Z are a little further from Walthamstow, based in Wood Green. A2Z is a family-run school with over 30 years experience training new riders. We also have other CBT test centres located in Chigwell and Ilford. If you want to earn yourself a bit of extra cash while riding your motorcycle or scooter, you might want to consider a delivery job - there are loads to choose from in Walthamstow. But if you’re unsure where to get started don't worry, just head to our delivery jobs page and we’ll find the best jobs for you, and help you arrange interviews.